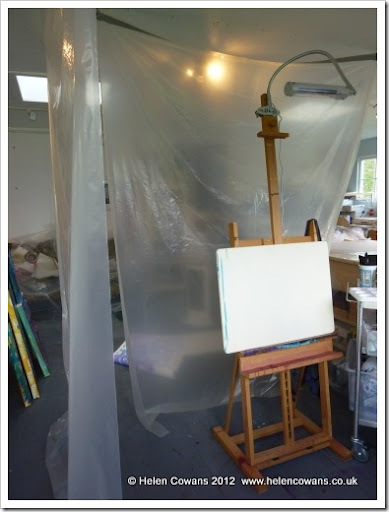 The studio prepared for painting…DH commented ”It looks like a scene from Dexter”. I should have started with red paint. What I’m really trying to say is that I might not be around much in the next few weeks! 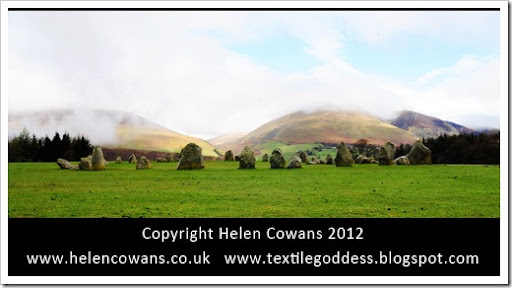 I’ll leave you with some pictures of Castlerigg taken last week. The new copyright notices are because of Pinterest and similar sites. I think I need to tweak but the information is there for now. 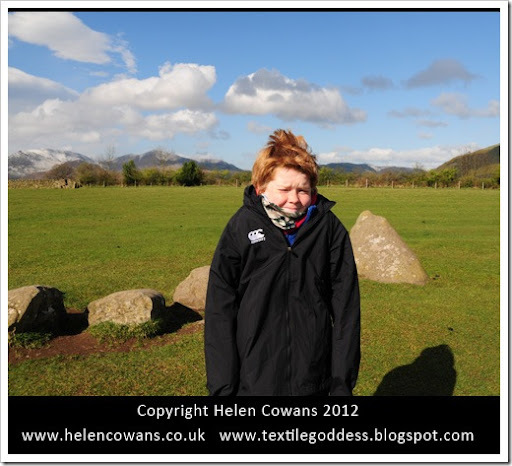 OK, I’m off for a break – to cut the lawn wearing fleeces and ski gloves as its COLD out there! Oh and I forgot to have lunch! Hello! You might be wondering where I’ve been after the show report? I’ve had a dreadful cold for 16 days now and feeling very sorry for myself. 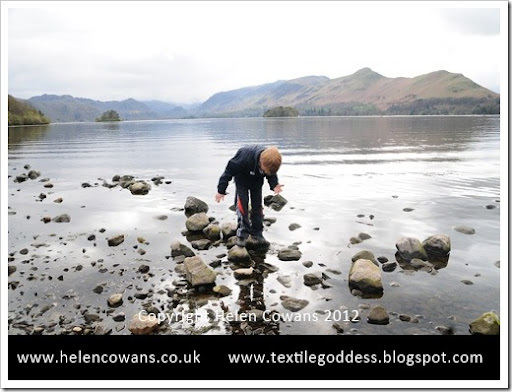 I’ve carried on (as mothers have to) you can’t take to your bed in the school holidays, especially when you have booked three days away in the Lakes with your DS. 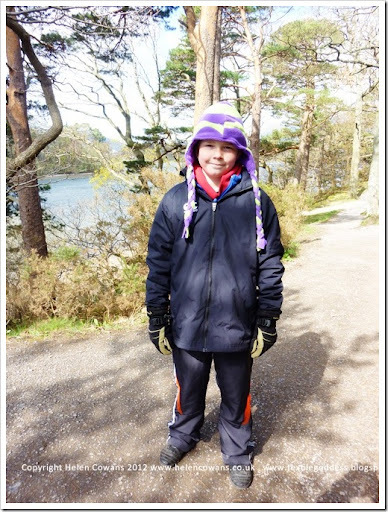 We had a wonderful time – lots of snuggling up watching TV in bed and eating chips by Derwent Water – where we sat huddled in fleeces, looking out across the lake at the snow on the hills and the sunlight making it all sparkle. Here are a few pictures, more to come. 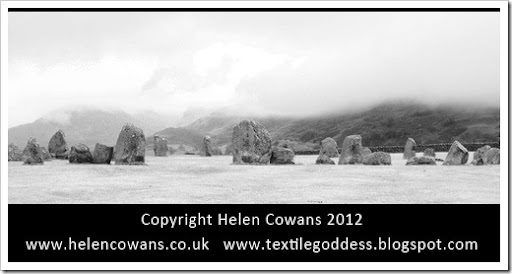 These stones above are known as “Helen’s Stones” as I took an iconic picture here in…. 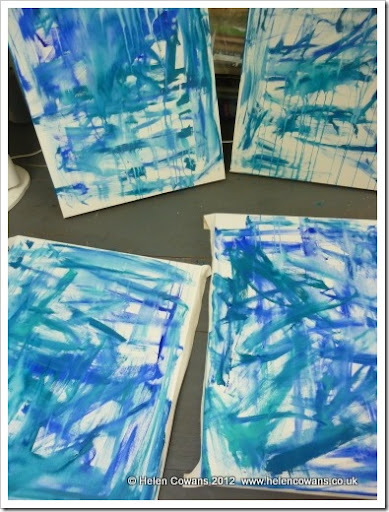 let me think…. autumn 1989. Gosh, really that long ago? 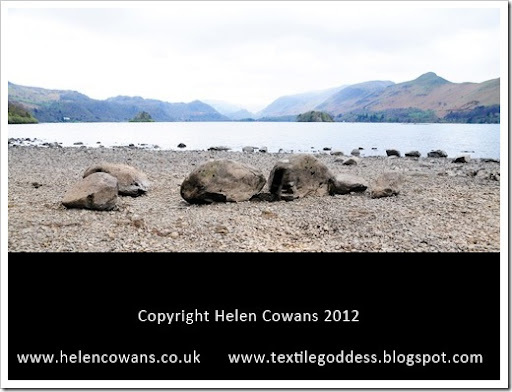 In that photograph the stones were partly submerged in the lake and I got one of the best photographs I’ve ever taken. It was also a special time in my life. 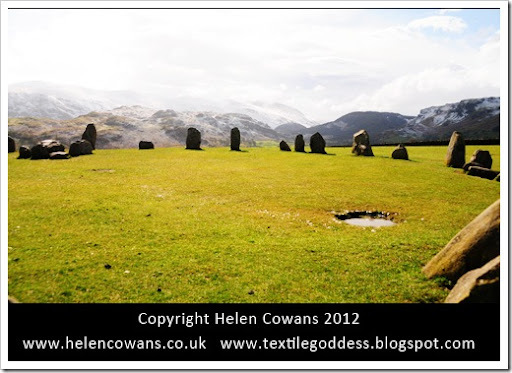 I worked for 12 months in Cumbria as part of my degree and I totally fell in love with the area (and the guy, who didn’t stay around long enough *sigh*). 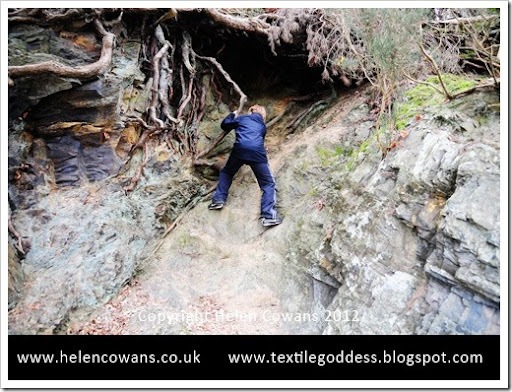 Anyway I digress….. every time we visit here we HAVE to see if the stones are visible. I’ve seen them (or not) totally submerged but I have never seen them this high and dry. 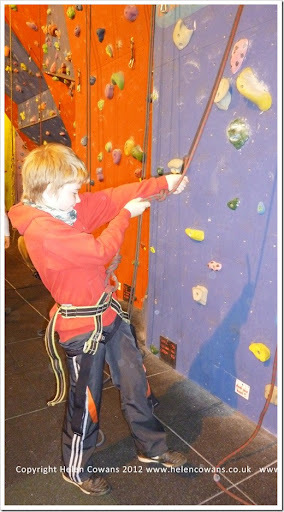 DS enjoyed the climbing wall and I learnt how to be an “anchor buddy”. Great fun. And here he is wearing the hat HE MADE HIMSELF! Now, who’s a proud mummy??? 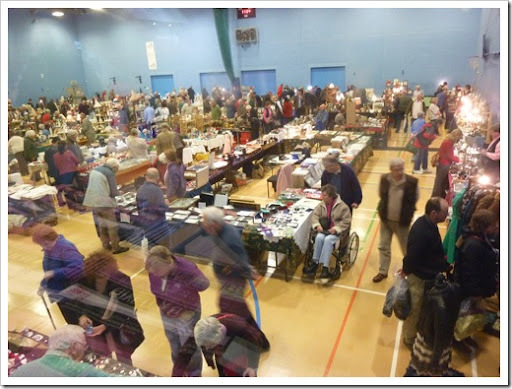 Finally – this is where I’ve been over the Easter weekend, Friday at Alnwick (above), Saturday at Kelso and Monday at Norham. Hunting out old linens and laces. I think I am enjoying the hunt as much as the dyeing and creating!